The Home Depot’s new line of EcoSmart LED bulbs, which have been sold exclusively in their home improvement stores since September 2010, offer advanced LED technology along with local availability and competitive pricing. The first of the EcoSmart LED bulbs is a 8.6W 40W-replacement A19 bulb, producing 429 lumens and retailing for $19.97. LED bulbs can last up to five times longer, and use up to 50% less energy, than compact fluorescent bulbs (and up to 85% less energy than incandescent). LED-Resource will be taking a closer look at the 8.6W EcoSmart LED bulb in the near future, so stay tuned! I am trying to find out if the Ecosmart A19 LED bulb has any UV rays? Also, perhaps you can tell me if the Philips LED A Shape bulbs have any UV rays? I will be purchasing approximately 500 of these bulbs most likely from Home Depot here in North Port, Florida. 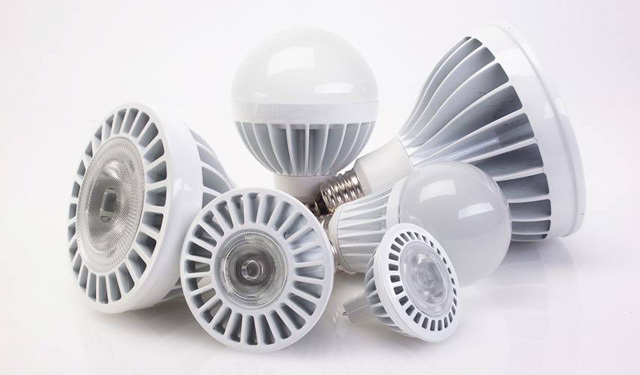 LED bulbs produce insignificant amounts of UV light, so they are generally considered UV-free.